RALEIGH – After two years of hearings, heated debates and special legislation, work at the North Carolina General Assembly on GenX and other, newly emerging contaminants in the Cape Fear and other watersheds has all but halted. 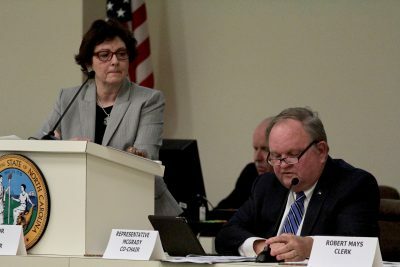 While still a focus for many legislators in the regions most affected by the revelations of high concentrations of GenX in the Cape Fear River, the main focus for committee work on GenX ended last year when the House Committee on North Carolina River Quality wrapped up and issued its final report in late April, just prior to the General Assembly’s short session. Since then, Rep. Ted Davis, R-New Hanover, who chaired the committee, and other House members have said they want to see the committee, or at least its work, continue. Early in the session, House Speaker Tim Moore, R-Cleveland, said rather than extend the life of the river quality committee or set up a new one, the work would likely be done by one of the standing House committees. “I can tell you I’m committed and most of our members are committed to make sure we are investing in the work that we’ve done,” he said. But so far, except for a brief oversight hearing in January, further examination of the issue of emerging contaminants has yet to be taken up by any other committee in either chamber. Last week, Davis said he was continuing to work with other House leaders on a way to follow on the work of the committee he led. Rep. Pat McElraft, R-Carteret, who chairs the House Environment Committee and served also on the river quality committee, said there is a possibility that some educational meetings can still be held this session. Molly Diggins, state director of the North Carolina Sierra Club, said the pause in the legislature is unfortunate. One reason for the delay, she said, was the hope that the federal government would implement tighter regulation of other per- and polyfluoroalkyl substances, or PFAS. But this month, the Environmental Protection Agency announced a long-awaited PFAS action plan that did not set specific requirements for drinking water, opting instead to continue to set health advisory levels, which do not have the same regulatory muscle. “If things were moving forward at a better pace nationally, states would not have to resort to sorting it out for themselves,” she said. Diggins said much of the policy debate is likely to play out in this year’s budget process. In his budget proposal released early this month, Gov. Roy Cooper asks for $12.5 million to go toward new equipment, additional personnel and a mobile testing lab for analysis of PFAS compounds such as GenX. In preliminary discussions on the budget there’s already been some pushback to that, partly because the enforcement actions again GenX manufacturer Chemours have resulted in a sharp reduction of the compound going into the river. Rep. Pricey Harrison, D-Guilford, said she worried that with GenX levels reduced, the sense of urgency among her colleagues has started to fade. Diggins agreed. She said even the original research that led to the GenX discoveries in the Cape Fear River also detailed the heavy presence of other compounds as well. “The focus has been on one narrow set of contaminants as opposed to the others that are being identified,” she said. Improving state Department of Environmental Quality, or DEQ, capabilities and other budget items are an important short-term step, Diggins said, but dealing with emerging contaminants over the long term is going to take more than just dollars. One complication to resuming work on emerging contaminants is a protracted disagreement over the future of the Environmental Review Commission, which in the past took the lead role at the legislature in reviewing and recommending environmental policy changes. Like the former river quality committee, the ERC is classified as an interim committee and, under the rules, meets only between sessions. But for more than two decades the committee has served as a key forum for environmental policy debates in the legislature. In the past two years, however, the ERC has seldom convened. Its last meeting was in mid-February 2018 and its one and only review of GenX was during an August 2017 public forum in Wilmington, two months after GenX stories first appeared in the Wilmington StarNews, which broke the story. 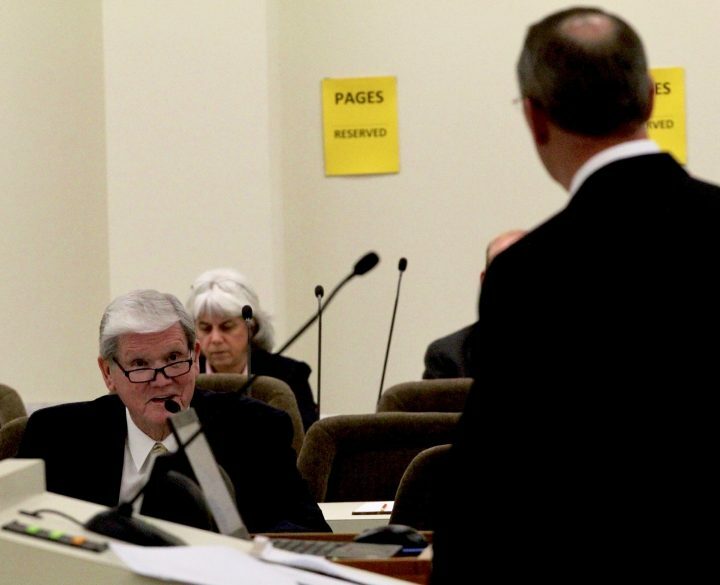 Since then, House members have complained that then-Sen. Trudy Wade, R-Guilford, essentially sidelined the committee by refusing to hold additional hearings. With public pressure over GenX rising, in fall 2017 Senate leader Phil Berger, R-Rockingham, and House Speaker Moore announced the formation of river quality committees in their respective chambers and assigned further investigation of GenX and emerging contaminants to them. The Senate’s river quality committee, also chaired at the time by Wade, held one meeting in October 2017, but the House river quality committee continued working for more than a year, holding seven lengthy meetings that included briefings from scientists on the latest studies and updates from the state Department of Environmental Quality and the Department of Health and Human Services. Wade was defeated for re-election last fall, giving hope to some legislators that that the ERC would restart regular meetings and resume its role as the main legislative study group on the environment. Rep. Chuck McGrady, R-Henderson, a longtime member of the ERC, said cooperation between the two chambers on issues like emerging contaminants is important and he hopes the ERC can take up the work started in the river quality committee. Harrison said she was optimistic that the ERC will be “operational” again. She said the river quality committee accumulated a lot of knowledge and data on the emerging contaminants issue that could help the ERC hit the ground running. In the meantime, Harrison, who now serves as vice-chair of the Environment Committee, is working on PFAS legislation for the current session and said she expects to introduce two bills soon.